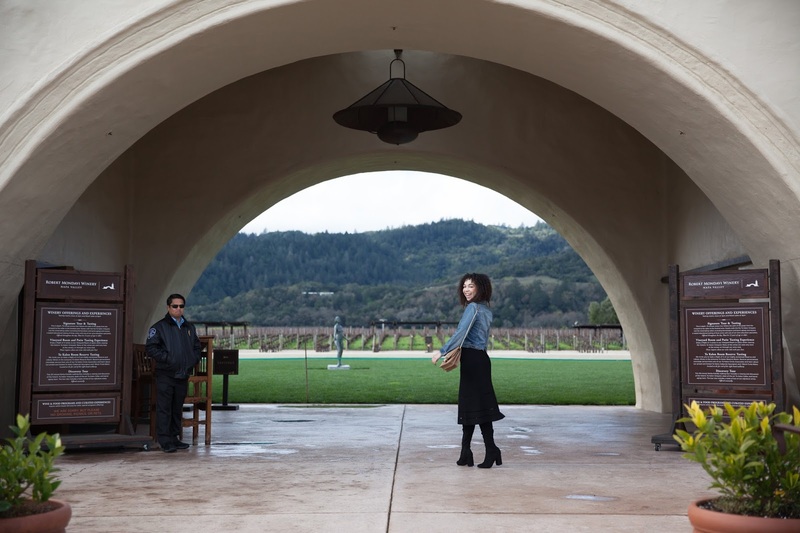 The Napa and Sonoma Valleys have been receiving so much rain, that my weekend trip to Oakville/Yountville/Napa Valley turned out to be quite the adventure! With roads closed or blocked due to flooding, I found myself honking at chickens on the back roads, and cautiously splashing through muddy potholes. 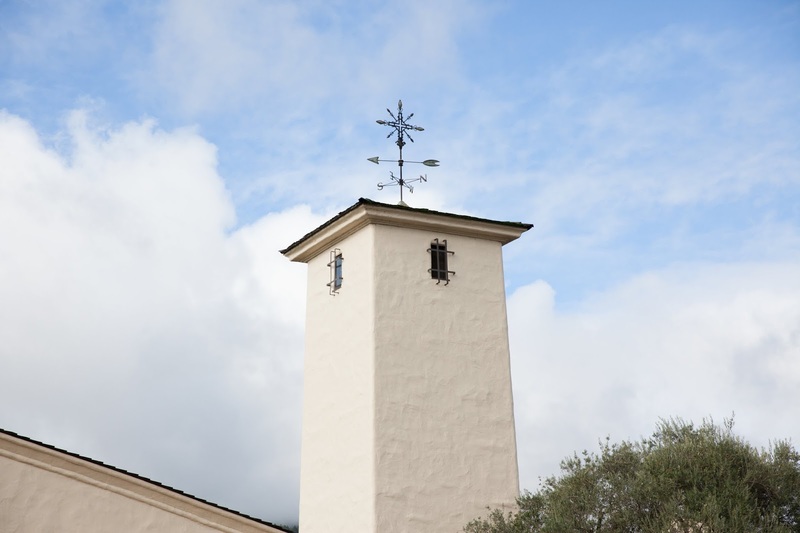 However to me, that is the real Wine Country - it's not always the glittering glitz and glamor of barrel and cave tours; rather, it's the working hands in the fields trimming the wines for spring, muddy shoes, chickens on the road, cows on the hill, and an area steeped in family traditions. I love that I am able to call the Wine Country of Northern California home. It's a beautiful, messy, friendly, and wonderful place to live. It's the creative and passionate lives of the people who live here that move me to want to do the same: chase my aspirations! 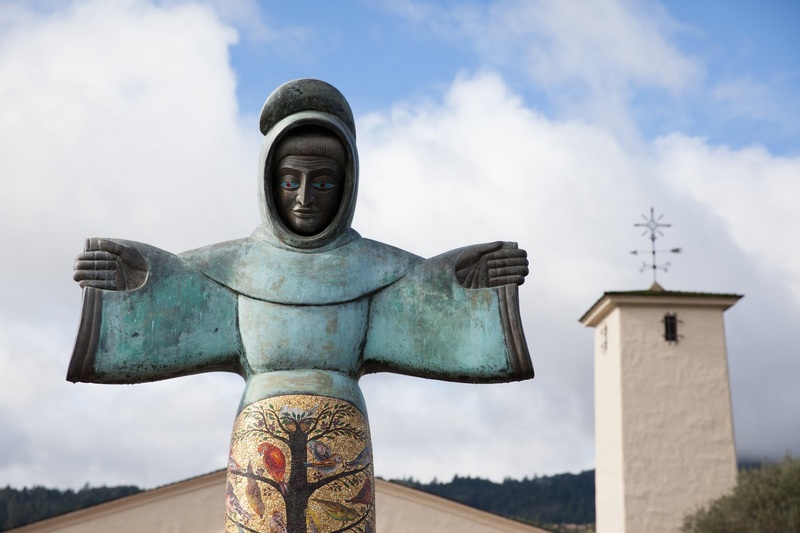 One of the many things that make the Wine Country such a fantastic place to live is the incredible and endlessly unique wineries in the area. 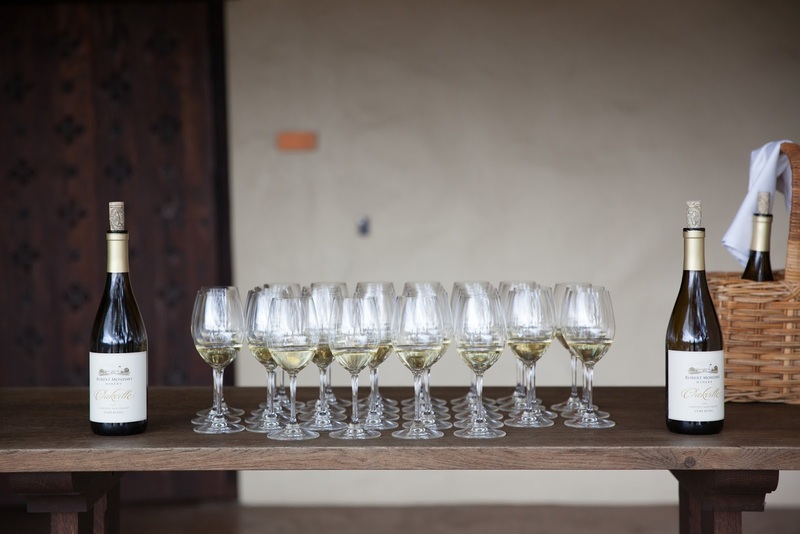 Founded in 1966, the Robert Mondavi Winery in the Napa Valley is world renowned for their Cabernet Sauvignon, and Fumé Blanc (Sauvignon Blanc) wines. 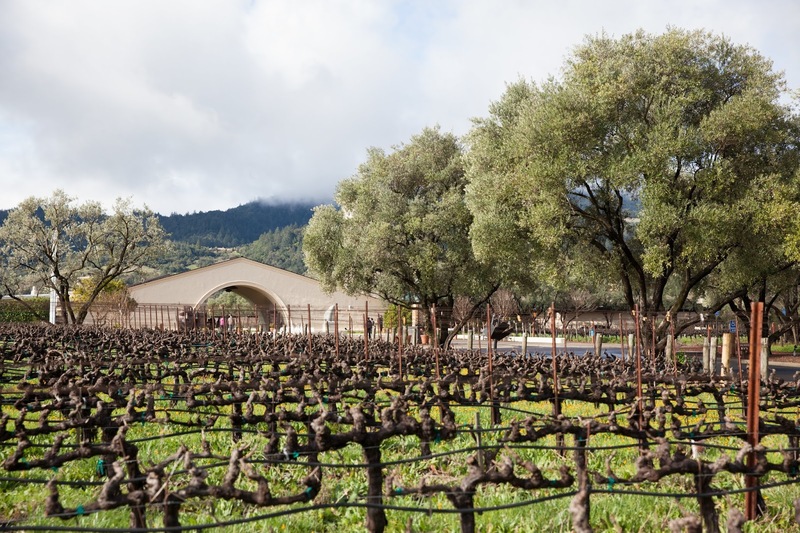 Sprawling through acres of vineyards, the Mondavi Winery sits between the Mayacamas and Vaca Mountain ranges. 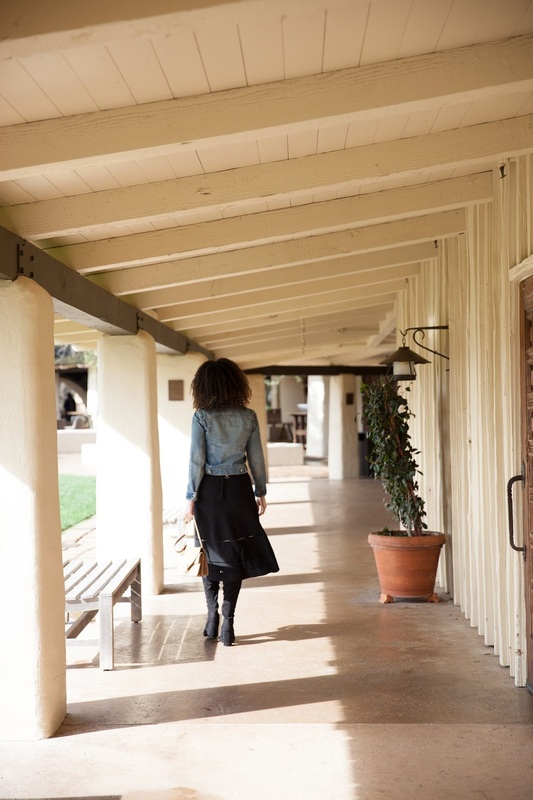 With a Spanish-European flare, the Robert Mondavi Winery is the perfect place to spend an afternoon without feeling crowded - no matter how busy the grounds get. Wandering down the hallway lined with benches and large wooden doors, the view of the vineyards all aglow with the seasonal yellow mustard seed is postcard worthy. The property is speckled with tucked away seating for an impromptu picnic of wine, a selection of cheese and fruits, and bread. The water fountains on the grounds also add to the ambiance. For my visit I kept it weekend casual with my Banana Republic Fit and Flare midi skirt, a Ralph Lauren cropped denim jacket (found in a Las Vegas thrift store), my Steve Madden over the knee boots, and my suede purse also from Banana Republic. I chose my skirt because I love it's tailored look - but it wears and feels like a performance piece! Meaning it's heavier weight knit really can go from casual to office appropriate quite effortlessly. 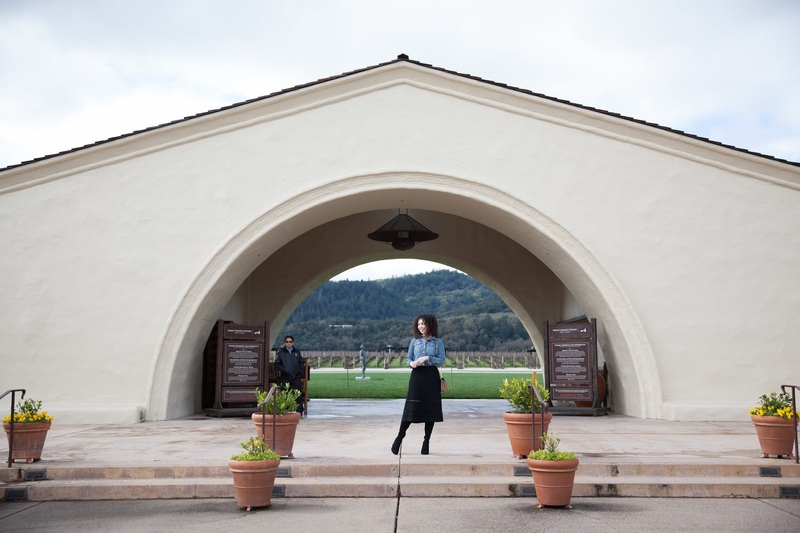 Tailored + Performance means it makes the seamless transition from office to weekend winery visits. I also really liked how the boot/skirt combo gives off a bit of Spanish-flare, echoing the architecture of the grounds. 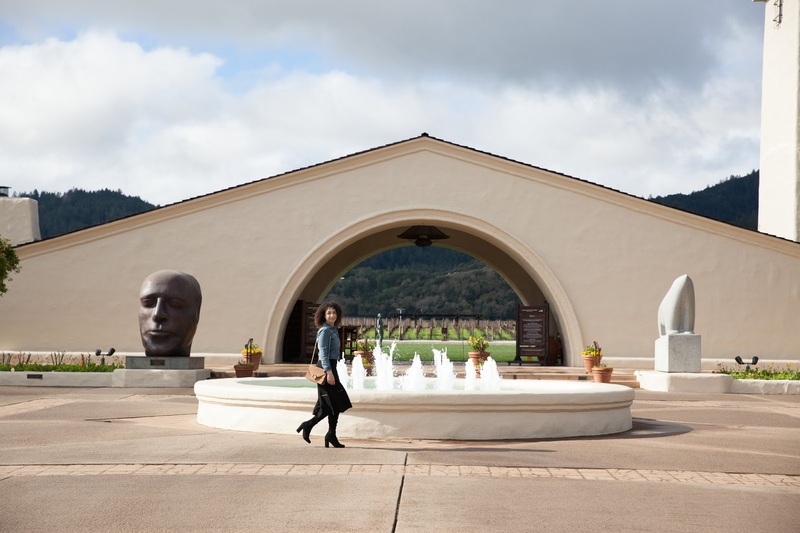 Have you visited the Robert Mondavi Winery? This post is sponsored by Banana Republic! All opinions are my own.